The SG-PCIE2S422485OCT RS422 RS485 PCI Express card supports Low Profile Form Factor for system integration and supports 2 DB9-male connectors via an included Breakout cable connection to the card. Supports low profile form factor. Supports 2 DB9-male connectors to provide instant RS422 /485 Serial port expansions. 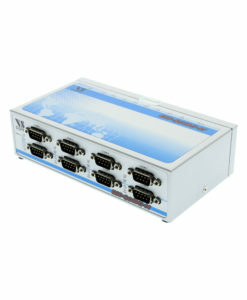 Compatible with new and legacy RS422 /485 devices. Computer system will recognize the device and install the drivers automatically. 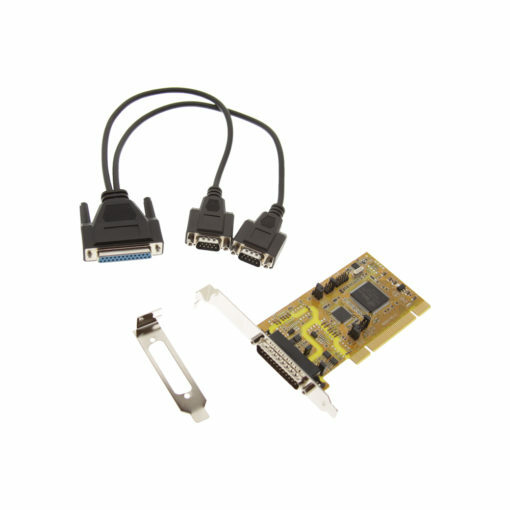 The 2 Port PCI SG-PCIE2S422485OCT RS422 /485 Express card supports Low Profile Form Factor for system integration and is designed for your PC, workstation, thin client, or server. The 2 Port PCI Express Card supports 2 DB9-male connectors to provide instant RS422 /485 Serial port expansions via the PCI Express bus. The SG-PCIE2S422485OCT 2 Port PCI Express Card includes Breakout Cable, the PCI Express card provides a scalable, high-speed, serial I/O bus that maintains backward compatibility with PCI applications and drivers. Its architecture defines a high-performance, point-to-point, serial bus at speeds of 250Mbytes/sec up to 4GBytes/sec. The SG-PCIE2S422485OCT 2 Port PCI Express is compatible with new and legacy RS422 /485 devices allowing versatility between applications. The plug-and-play feature makes it easy to install and use with your system and provides the expandability to quickly adapt to new serial technologies. Your serial network can grow as your requirements do. With the PCI Express Install Wizard, simply follow the instructions, you won’t have configuration issues dealing with I/O address, IRQ jumpers, DMA or others when you are connecting your serial devices. The system will recognize the device and install the drivers automatically. The SG-PCIE2S422485OCT is an ideal solution for your expanding applications.